Just a few things since I haven’t posted in awhile. 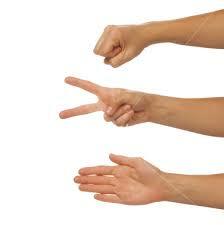 Rock, Paper, Scissors can actually make a worthwhile tournament. Having recently participated by MCing a local tournament, I can tell you that it was way more intense and cooler than I would’ve ever anticipated. It’s a great, random “What the hell can I do to get people together and doing something when it’s freezing outside” idea too. The fact that you can win money for something that’s pretty much completely random is a pretty sweet idea too. I’ve come to the conclusion, at least at this point in my life, I’m not a “baby guy.” Nothing against babies, I think they’re awesome and all that, I just can’t like click or identify with them. Made all the more potent of late since people around me lately seem to have baby fever. Seriously it exists..watch out fellas’ and wrap it up. Unless it’s something you want, than by all means roll with it. I just can’t wrap my head around the idea without having the other pieces in my life in place. I feel kind of weird for saying that: about as weird as I feel when everybody oogles over a new baby and I watch and smile from a distance..haha. Nothing against the babies in my life (you know who you are): I love you, but man I’ll be glad when you become functioning human beings. Maybe I just need to grow up. ters will go the way of “That Guy Who Knows how to Fix an 8 track player:”..aka..pretty much obsolete. Though I’m not necessarily sure that’s a bad thing. The goal of good writing is to convey an idea and/or emotions, what does it matter how that’s done? It would seem to me you could connect with your readers easier by talking in a conversational style they’re accustomed to, rather than a set of (antiquated?) rules even the best writers argue about. Writing in a classic style and passing it off as right, is like using Ozzy Osbourne’s family as a typical American family: it’s tough to identify with and sometimes difficult to understand. Launcher is excellent for office warfare. Software included pivots it, activates the laser and fires. Totally excellent. SB The Bruce, who’s been one of the best since the late 80s, also has a blog, so check it out when you get a chance: SB’s Blog. To give you a preview, SB is currently in Grad School at U Chicago studying to be a lifelong Chem expert to take over the world. His adventures include a bike ride from Chicago to Philly in 12 days, establishing a Bruce to Moose Connection, and he once swam to Japan. Give SB’s blog a whirl.